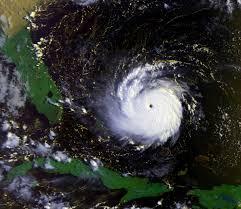 Here's an impressive stat: six of the 10 most costly hurricanes in U.S. history hit Florida during 2004 and 2005. Insurance companies took a big hit financially and, as you'd expect, our property insurance coverage got more expensive. But the state saw its last hurricane nine years ago. So why are we still paying such high rates? Florida's Insurance Consumer advocate Steve Burgess says nine years isn't a long time for insurance analysts, who may be looking at risk over a hundred year period. Also, insurance companies absorbed billions of dollars in damages over 2004 and 2005, and they couldn't pass all those costs onto their policyholders immediately. The cost had to be recouped over time, and that's what's still happening, says Burgess. The insurance companies are replenishing their financial reserves and getting ready for the next big storm. State-owned Citizens Property Insurance Corporation, the state's largest insurer, has built up those reserves, Burgess says, and in fact is going to decrease its rates for next year. Most insurance companies, however, are not decreasing their rates. And a big reason for that is a lack of competition, according to Michael Letcher. Letcher created the website homeinsurancebuyers.org. He says 119 businesses have active policies in Florida, but only 39 are actually writing new business, and most Floridians really have only three to five companies to choose from. Letcher also says more companies in Florida need to have at least $100 million in surplus, and he says most of the companies in Florida carry a lot less than that. Insurance companies will buy their own insurance -- call reinsurance -- but Letcher says that won't be enough. "I don't care how much reinsurance these companies have," says Letcher. "These companies need to be bigger We need to get back to the days where Florida has at least 100 companies writing new business with many of them having over $100 million in surplus. It's the only way our market is going to recover." Letcher lists other reasons why our rates have stayed high, such as an increase in non-hurricane claims, like fire and theft. Fraudulent claims have been on the increase as well, he says. But one bright spot may be reinsurance costs. According to Steve Burgess, these have been declining, and the cost saving should be passed on to consumers soon.